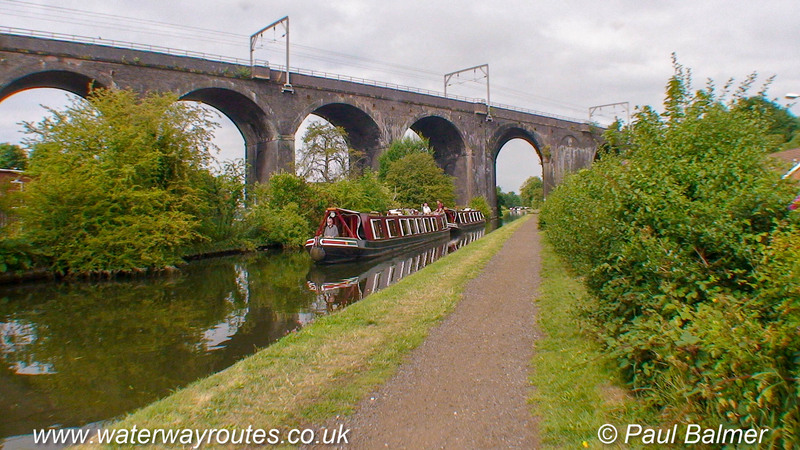 Th railway viaduct appears in many photos of the Wolverhampton Flight. Many boaters have a photo similar to this in their blog or personal photo collection. This is the main line between Wolverhampton and Shrewsbury, which is electrified for a short distance between Wolverhampton and Oxley Train Maintenance Depot. This shows the Canal Voyagers Hotel Boat pair, with Motor Boat Snipe towing Butty Taurus.